She has it all—smarts, talent, humor, and style. . . . Is it enough to survive middle school? 3. You have one chance to become a rock star and one chance to totally blow it. Guess what!? All three happened to me! School’s a disaster already. Don’t get me wrong—I love Brookdale Academy and I have a fabulous crew of friends. (At least, I think I do.) But, if I’m going to survive, I need all the help I can get! 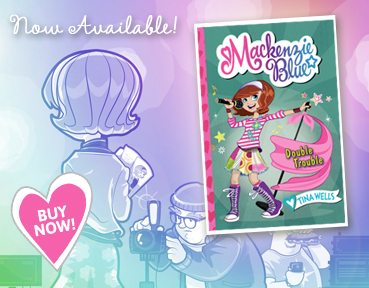 Mackenzie Blue has a crush! But how can she get Landon—the cutest boy in school—to notice her? The class’s new rock-and-roll musical is her chance. Between her crush, the musical, and her friends—not to mention school work—Zee is torn in a thousand different directions. With all the real-life drama going on, will she lose sight of what’s really important? 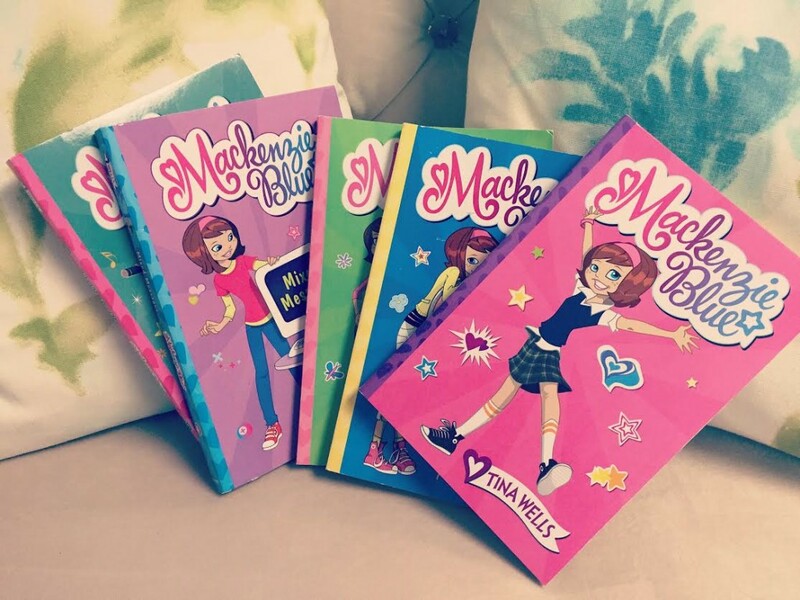 Mackenzie Blue #3: Friends Forever? In Friends Forever?, third in Tina Wells’s delightful illustrated middle-grade series, Zee and the rest of her class from the Brookdale Academy are off on a camping trip to compete in an environmental scavenger hunt. Zee is extra psyched because her best friend, Ally, is visiting from Paris. It should be fabulous having all her friends in one place, but for some reason everyone is fighting! In Mixed Messages, fourth in the illustrated middle-grade Mackenzie Blue series, Zee and her friends from Brookdale Academy launch Bluetopia, a fab social media site—which is perfect, because Zee’s band, The Beans, is about to have its biggest show ever. Everyone is talking about it on Bluetopia. Mackenzie Blue is a star! Or she will be . . . as soon as she gets the part of an aspiring singer on a new TV pilot! But juggling auditions and the rest of her life turns out to be harder than Zee thought. Zee’s friends are helping her hold everything together. But Zee doesn’t like having to bail on plans—and her friends—to run to another audition. Is being a star worth it?